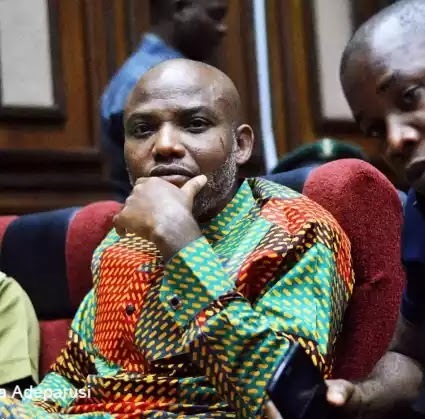 Rival pro-Biafra group, the leadership of the Indigenous People of Biafra Rebranded, IPOBR, has declared the leader of the Indigenous People of Biafra, IPOB, Nnamdi Kanu, wanted for “betraying the struggle” for Biafra as laid down by late warlord, Odumegwu Ojukwu. The group accused Kanu of bringing public hatred on the entire Igbo race through his utterances and actions. In a statement by its Director-General, Mazi Ibekwe Ozuruigbo, IPOBR questioned the authority of Kanu to oppose the coming Anambra state gubernatorial election. IPOBR says anybody with useful information about the whereabouts of Nnamdi Kanu should contact it for prompt action. Ozuruigbo, “We wonder who gave Mr. Kanu the power to say Anambra State election scheduled for November this year would not hold?